Tue., Nov. 29, 2016, 6:17 p.m.
Rep. Cathy McMorris Rodgers reportedly is being considered as the next interior secretary by President-elect Donald Trump. The New York Times reported Tuesday the Eastern Washington Republican, who just won her sixth term in Congress, is getting a “hard look” for the job of managing the nation’s public lands. She’s not the only person in the running, according to various media reports. Oklahoma Gov. Mary Fallin is also reportedly under consideration. McMorris Rodgers was also listed Tuesday as one of 13 vice chairs of Trump’s transition team. Other members of that group include Sen. Jeff Sessions, R-Ala., who is Trump’s pick for U.S. attorney general, New Jersey Gov. Chris Christie and former House Speaker Newt Gingrich. 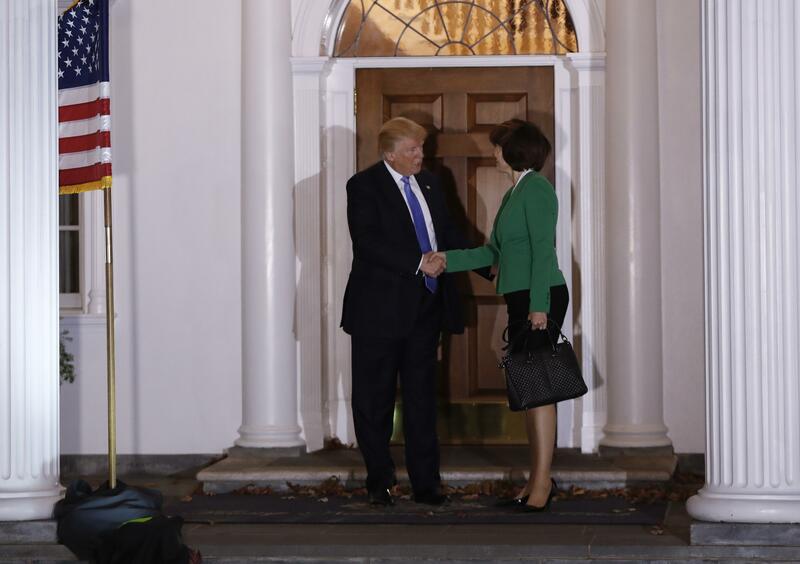 McMorris Rodgers met with the president-elect on Nov. 20 at his New Jersey golf club. She refused to comment on a potential role in the Trump administration after that meeting, telling radio interviewers only that they talked about a wide range of topics. She was not an early supporter of the billionaire developer and reality television star, but said in May she was considering him as the GOP nominating field was winnowed. After he became the apparent nominee, she arranged a meeting between Trump and House Republicans in Washington, D.C.
First elected to the House in 2004, McMorris Rodgers currently serves as the highest-ranking woman in the Republican majority. She easily won re-election on Nov. 8 over Democrat Joe Pakootas. If she were to accept a post in the administration, she would have to step down from the seat she won. That seat, which represents Spokane and roughly the eastern third of Washington, would remain vacant until next November, when a special election would be held. Published: Nov. 29, 2016, 6:17 p.m.